Budd Cars on the Move! Lift off! The Budd Cars are running and ready to serve VT for good. The RDCs were just tested on the railroad lines between Barre and Montpelier where they ran perfectly. This was the first time they’ve run outside of the rail yard. Vermont Rail Systems worked with AllEarth Rail to create this opportunity, lending assistance and sharing train personnel. With this success, we’re just another step closer to having a reliable and renewable solution to transportation. The Budd cars will serve as a platform for future regional transportation and rail service. Right now, each RDC carries over 90 passengers. Just imagine the possibilities for placing this equipment into daily service! Don’t forget that these RDC’s are also well-built and dependable. They’ve proven their value over years of reliable performance. The CEO of AllEarth Renewables and founder of AllEarth Rail, David Blittersdorf, and the President, Charlie Moore, joined this ‘shakedown’ run. Blittersdorf hired Moore, who has over 40 years of railroad experience, to lead his rail project. 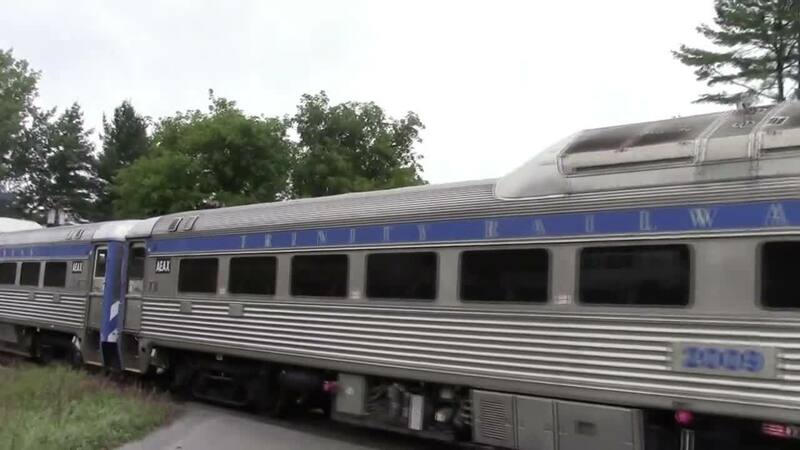 Blittersdorf invested $5 million into purchasing these Budd cars with the ambitious goal to create a comprehensive passenger rail network in Vermont. It marked the perfect opportunity for Blittersdorf to invest in energy efficient transportation. Planned routes include Middlebury to Burlington, St. Albans to Essex Junction and Burlington, and Barre/Montpelier to Essex Junction and Burlington. These routes have already demonstrated high commuter demand, and will appeal to those who are looking for a reliable, lower-cost alternative to commuting in personal vehicles. While there are barriers to be overcome, many commuters welcome the availability of this new way to get to work in Vermont.